When I think back on all the friends I’ve had over the years, and then consider how many of them are no longer a part of my life, I can sometimes get down. Genuine, strong friendships can be hard to come by, but sometimes, frankly, life gets in the way. Yep, you read that right. Phyllis and Barbara first met back when they were in 7th grade, which, as one might imagine for two 95-year-olds, is quite a long time ago. Having first struck up a friendship back when they were in school, Phyllis and Barbara have remained fast friends despite the rigours of time. They’ve raised families, buried husbands, celebrated countless achievements and never let things get in the way of the truly special bond they share. 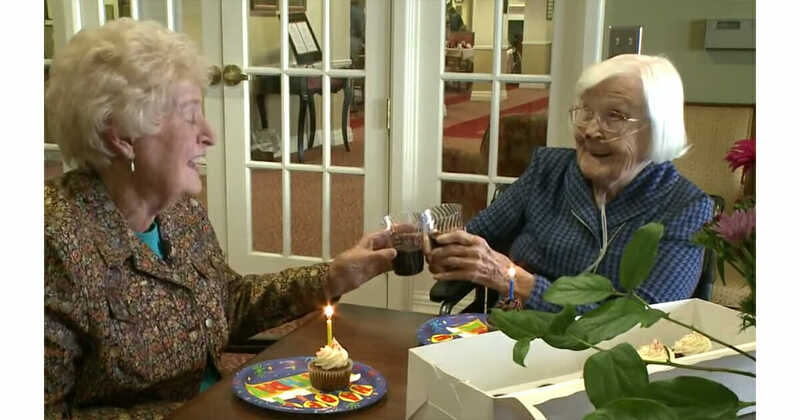 Phyllis turned 95 on January 5th, 2019, whilst Barbara will raise a glass for her birthday on February 1st. The pair try to see each other on at least a monthly basis, and meet up every year to celebrate their birthdays. What a wonderful friendship Phyllis and Barbara share! Share this article if you think the bond of friendship is one of the strongest around. READ Gerber Chooses baby with Down Syndrome as this year’s Gerber baby, and he has already stolen hearts!